Rural and remote regions of Indonesia are challenging areas—for both the women who give birth and the health care providers who work there. Many midwives prefer to be assigned to urban locations that offer more modern and better-equipped health facilities. But not Desita. The 29-year-old midwife is dedicated to serving women in three provinces in the northwest tip of the country. 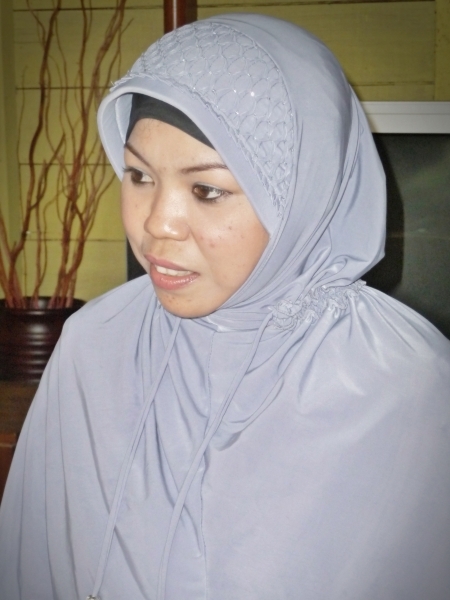 When Desita first began working in Aceh province in 2006, she quickly realized that almost all women giving birth were assisted by traditional birth attendants (TBAs). These TBAs are often older women who have experience in attending births, but limited training. Women in the village appear reluctant to visit midwives for prenatal care services; even educated mothers prefer to use TBAs. Rather than be discouraged, Desita chose to be proactive in ensuring that mothers and babies in the community stay healthy. She went door to door, visiting mothers in their homes and delivering quality antenatal and maternal care and counseling. Desita also worked to build a good relationship with two TBAs. She slowly earned their trust, checking on them whenever they were sick. The TBAs came to know Desita and respect her knowledge as a health care provider. The midwife then felt ready to speak openly with them about their roles as TBAs. “At first I asked them if I could accompany them while they were attending births. After I accompanied them a few times, I negotiated with them to modify our roles so that I would become more closely involved in the childbirth process,” Desita explained. Approximately a year after Desita arrived in Aceh, a mother who developed complications after birth sought out the midwife for help. The woman had been assisted during the birth by her mother, a TBA. Desita successfully nursed the mother back to good health, and word of her care reached others. From that point on, all births in the village were attended by Desita. The TBAs began to recognize her skills in assisting births and handling complications, and would refer women to Desita. The turning point had come at last. Desita is among the 7,363 midwives and health workers who participated in trainings and other programs organized by the Jhpiego-led Maternal and Child Health Integrated Program (MCHIP), the U.S. Agency for International Development’s flagship maternal health program. MCHIP operated a three-year, $9.8 million project in Aceh and two other provinces to implement national maternal and newborn health programs at the local community level. The project ended in December 2012, but the benefits accrued by midwives such as Desita continue to be evident today. As the sole midwife in this remote region, Desita delivers 20 to 25 babies a month, mostly in women’s homes because there is no clinical facility. That’s double the number of babies born in the nearest health facility, which is more than 20 minutes away. 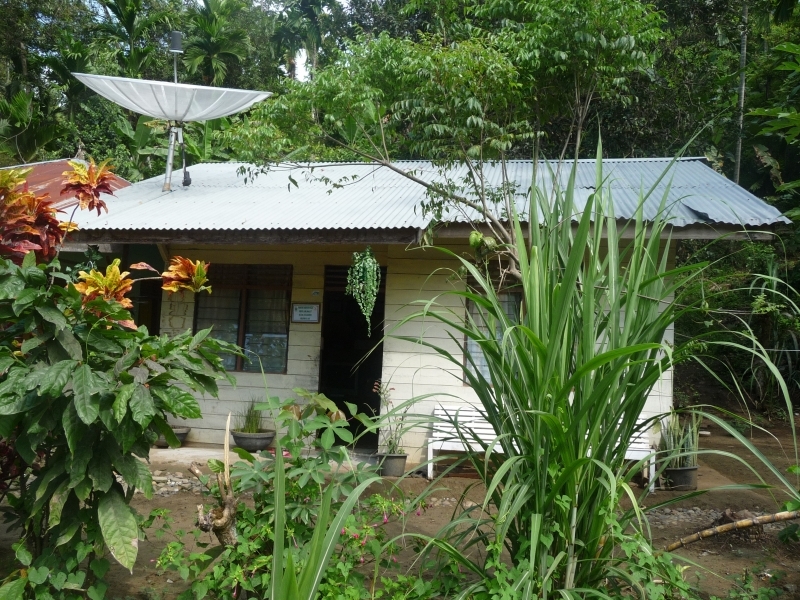 Desita hopes that the government will soon build a village health post, or a Polindes, near her; she often sees clients in her home. “The process of giving birth in Polindes, or in other health facilities, is much safer and healthier for mothers and babies than giving birth in their homes,” she said. Desita actively carries out health promotion activities within her community. Through mother support groups, she promotes immediate breastfeeding, which was not commonly practiced in the villages. She also offers a unique service to mothers as part of their postnatal care package—massage therapy. Desita uses her training in physiotherapy to perform safe massages to improve blood circulation, as well as offer a traditional service that many women in the village want. She is recognized as a midwife who is happy to share her knowledge and experience with other midwives. In 2012, Desita received the Midwife of the Year award from the President of Indonesia.